Loving Sai Ram and greetings from Prashanti Nilayam. We are now in the fascinating but highly intriguing borderland called Quantum Philosophy, that is one step away from what is usually called meta-Physics. 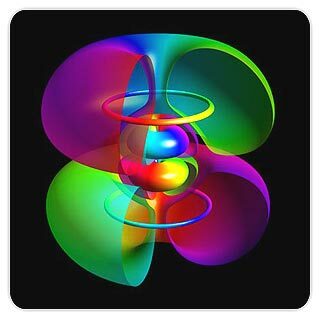 You might wonder: “Earlier, we were told about Quantum Mechanics and all that; now there is a reference to Quantum Philosophy. What’s the difference between the two?” I made a reference to this before but now is the time to stress that difference once more. You see, Quantum Mechanics refers to the tool box, a new type of “calculus” if you will, that enables one to make accurate and reliable calculations and predictions relating to the world of the small. Stretching the idea a bit, a “quantum mechanic” would be like an auto-garage mechanic who is very good in fixing problems that cars develop. A more evolved version of the “quantum mechanic” would be a person who, using the tool box, is able to make new predictions, discoveries and so on. However, at the end of the day, these people, while very well-known and with many papers to their credit and so forth, would not be able to say much about a question that hides behind this new and wonderful calculus or tool box, which is: “So what is the picture of Physical Reality that QM presents?” And this is precisely where Philosophy enters the picture. Thanks to that down-to-earth approach, there are today thousands and thousands of “quantum mechanics” who, like plumbers, can take care of many a complex calculation problem. Some of these, by the way, are quite horrendous, and it takes a lot of skill to solve these problems; which means that one should not necessarily look down upon these “mechanics” as some kind of second-rate species. Nevertheless, as Science advances throwing up more and more fascinating and intriguing questions, the question, “What does all this mean in the final analysis?” does keep popping up again and again. The question cannot be entirely swept under the rug, and keeping that in mind, many have dared to deal with the issue, no matter how much out of sync they might be with the world of “mechanics”. 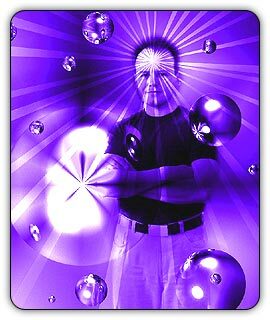 I have already made, in earlier issues of H2H, some reference to the questions related to the philosophy underlying QM. In this issue, I wish to pursue that angle a bit further; and given various self-evident constraints, my aim would be to give you a broad flavour of what the debate is all about, rather than to give an exhaustive account of what happened and where things stand at present. The important point I wish to make is that behind the seen there hides a strange Reality, the nature of which is not easy to fathom. 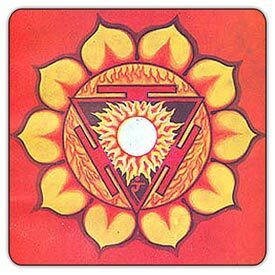 Equally important, this Quantum Reality, if I might call it that, has tantalising similarities to many concepts of Vedanta. In fact, it is because of that subtle connection that I have been taking you through this rather long tour – if I am not mistaken, it is already two years since we got started! Just to set the stage, let me remind you of what was available before the advent of QM. We had then what we now describe as Classical Mechanics [CM], which provided a formalism and also physical content, namely, a view of Physical Reality. CM worked fine, as long as one did not quite enter the realm of the “small”. Starting about the third quarter of the nineteenth century, the discoveries and developments that came rapidly in succession of each other compelled physicists to deal with the world of the “small” namely, the world of atoms, electrons and nuclei, etc. Here CM failed miserably, and a new mechanics was needed. That new tool box, now called QM, became available by about 1928 or so. It worked beautifully [to the extent it was used then], but when it came to what the tool box meant in relation to Physical reality, everyone was left wondering. 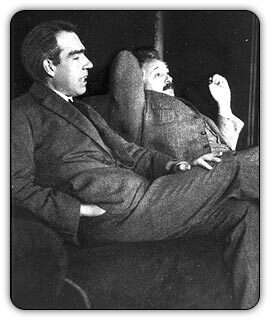 Two great and daring minds then decided to explore what exactly was the Reality underlying the newfangled QM; they were Niels Bohr and Einstein, both of whom we have met before. 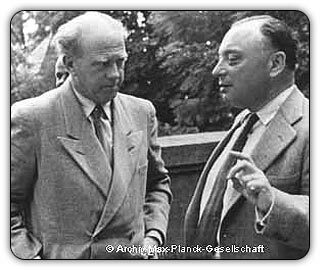 The curious part of it is that while in their own ways these two had been instrumental in ushering in the quantum era, they had not made any major, landmark contribution to the birth of QM; that was done [as described earlier] almost entirely by Schoredinger, Heisenberg and Dirac. Yet, when it came to the debate, it was Einstein and Bohr who were in the forefront, with all others watching keenly from the ringside. Bohr and Einstein knew each other even before they had met – no surprise in that, since both were already big names by 1920 or so. As Einstein once wrote to Planck [who, if you remember, “kicked” the ball first in the quantum game – see QFI - 06], “...this [Bohr] must be a first-rate mind, extremely critical and far-seeing, which never loses sight of the grand design”. When I had the great experience of meeting Einstein for the first time during a visit to Berlin in 1920, these fundamental questions [the problems of old quantum theory - meaning, the problems that existed prior to the development of formal QM] formed the theme of our conversations. The discussions, to which I have often referred to in my thoughts, added to all my admiration for Einstein, a deep impression of his detached attitude. Not often in life has a human being caused me so much joy by his mere presence as you did. To meet you and talk to you was one of the greatest experiences I ever had. So you can see how they held each other in great esteem. Yet, later, deep differences in opinion developed, but the remarkable thing is that till the end, their friendship never suffered one bit. That story would follow soon. Einstein had from the very beginning been a most prominent figure, and several of us came to the conference with great anticipation to learn his reaction to the latest stage of development which, in our view, went far in clarifying the problems which he had himself from the outset elucidated so ingeniously. During the discussions.... Einstein expressed, however, a deep concern over the extent to which causal account in space and time was abandoned in quantum mechanics. You can see from this comment where Einstein was having reservations; as I mentioned in an earlier issue [see QFI – 23] Einstein believed strongly in a cause-and-effect scenario; that scenario and logic was central to CM and Einstein was so steeped in that philosophy, it seemed outrageous to him for anyone to suggest that Nature behaved otherwise; and he argued vehemently with anyone who said that in QM causality had no place! The big guns who stuck around during these back room conversations included of course Einstein and Bohr, and also Pauli and Heisenberg. Most of the Einstein-Bohr arguments centred around what were called gedanken experiments. Gedanken was the German word for thought, and thus, a gedanken experiment essentially meant a thought-experiment. Basically, Einstein would get up and say, “Professor Bohr, suppose we do an experiment of this kind”; a lot of details would then follow, after which, Einstein would say, “but you see Professor, when we try to draw conclusions from this experiment on the basis of your QM, we are faced with the following logical contradictions. You would agree of course that Science cannot be based on contradictions. So what does that mean? It means, according to me, that your QM fails under its own assumptions!” Smiling triumphantly, Einstein would then sit down, pull out his pipe and light it, while Bohr would be scratching his head not knowing what to do. Hardly anyone present took part in this Einstein-Bohr debate as it is now known; but they all followed the argument carefully. Two people who ignored the entire debate in disdain were Pauli and Heisenberg; they both were die-hard supporters of QM and did not pay any attention to objections, even if they came from Einstein; and they wondered why Bohr was “wasting” so much time trying to answer Einstein! Einstein! You are beginning to sound like the critics of your own theories of relativity. Again and again your arguments have been refuted, but instead of applying your own rule that physics must be built on measurable relationships and not on preconceived notions, you continue to invent arguments based on those same preconceived notions! It was indeed a powerful criticism of Einstein, not easy to make, given Einstein’s rock star like status. But Einstein did not give up and during one of these many debates, Einstein decided to attack the Uncertainty Principle. As Bohr later put it, “our discussions then took quite a dramatic turn”. What happened was that as usual, Einstein came up with a gedanken experiment, which, he claimed, showed that the Uncertainty Principle was false. Bohr contested Einstein’s views. I shall never forget the vision of the two giants leaving the club; Einstein a tall majestic figure, walking quietly, with a somewhat ironic smile, and Bohr trotting near him, very excited....The next morning came Bohr’s triumph. I had an opportunity to talk with him again about epistemological aspects of atomic physics, but the difference between our ways of approach and expression still presented obstacles to mutual understanding. The story does not end here; not the one to give up easily, Einstein fired a major salvo in 1936 that subsequently led to a most startling discovery. But before I get on to that, I must present a personal recall of a lecture that Bohr delivered while he was visiting India in 1960 [I believe]. This lecture that I am referring to was delivered in the Tata Institute of Fundamental Research, Bombay. At that time, the magnificent building that now houses the Institute was still under construction, and thus it was that Bohr’s address was delivered in a small lecture hall in a building called the Old Yacht Club right next to the famous Gateway of India, and adjoining the Bombay docks. I was present in the audience, and the room was simply packed – no wonder, for Bohr was a big name. Bohr was then over seventy, and he spoke extensively about his protracted debate with Einstein. He presented slide after slide of the apparatuses associated with the gedanken experiments proposed by Einstein and also by himself. The sound system in the auditorium was terrible, and to make matters worse, Bohr’s voice was not always at its best. Altogether, I did not understand one single word of what Bohr said; and I am sure that applied to almost everyone in the audience. Yet we all sat there silently, as homage to the great man who was speaking and to the great Einstei,n of whom the talk was largely about. Although I did not understand a single word of Bohr’s lecture, this I do remember most vividly. When he came to the end, Bohr began to weep! It was clearly a genuine feeling of regret over the pain he had caused to his dear friend by defeating him in the scientific debate. That was a different era and a different set of values. I make a special mention of this because in January 1968, I was present in Chicago at the annual meeting of the American Physical Society [APS], a big event then and perhaps even now. For three days or so, this meeting was full of sessions where specialist papers were presented, but there were certain events where special invited lectures were delivered. I was present at one such session which was a joint session of the APS and the American Association of Physics Teachers [AAPT]. The meeting venue was a huge ball room or something of that kind in a five star hotel. 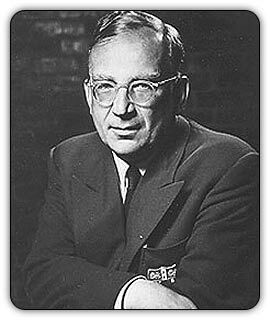 Two invited lectures were to be given that afternoon; the first was by George Gamow, whose name I have mentioned earlier on this series; if you recall, the idea of the Big Bang is often attributed to him. 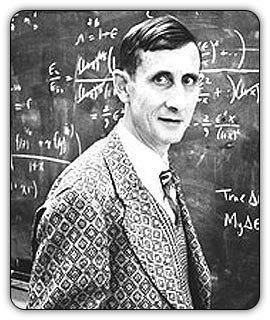 The other lecture was by Freeman Dyson, a brilliant physicist, if ever there was one. Of the two, Gamow was rather old by the time he gave this lecture, while Dyson was, I would say something like in his mid-fifties. The two lectures were sort of interconnected. Dyson was to speak first and refute a claim made by Gamow in a recent paper of his. This paper had something to do with the radioactive decay of some nuclei or the other, I do not remember the detail. But this I do remember; the conclusions drawn had a lot of implications for the history of the earth, its evolution etc. Anyway, to get on with the story, what had happened was that soon after Gamow published his paper, Dyson detected a fatal flaw in Gamow’s argument and published a rebuttal. Essentially Dyson said in his paper, “Gamow has made the following mistake and therefore all his conclusions are invalid.” Fine. This occasionally does happen, with a person making a genuine mistake, for which he later apologises. I have gone through this painful experience myself, and I know what it is all about. On this day of the public meeting, both Dyson and Gamow were to speak. First it would be Dyson, pointing out why Gamow was wrong and all that, and later it would be Gamow, explaining how this mistake happened. I hope you appreciate that these lectures were special because not every time there is a mistake, is this kind back-to-back lecture arranged, and that too in a big public session. The lecture was special because the topic was special, that is what I am trying to say. The session was being presided over by Prof. Charles Townes, a Nobel Prize winner – he got the Nobel for discovering the principle of the Maser and the Laser and also building the first Maser. There was huge audience of about four thousand or so, and the scene was very impressive. Prof. Townes first called upon Dyson to speak, and after Townes said a few words by way of introduction, Dyson went to the podium to give his lecture. His presentation showed his unquestionable scientific brilliance, but I must say I was totally unprepared for the almost contemptuous manner in which he dismissed Gamow, almost to the point of ridiculing him. Gamow was then quite old, and used as I was to giving respect to elders, this public display of insolence on the part of Dyson stunned me and was totally unacceptable to me. Townes sat through the talk is cold silence, and I could see that he was not happy either about the condescension with which Dyson spoke. Finally, Dyson finished, and there was a light and scattered applause, after which Townes introduced the next speaker, namely Prof. Gamow. He did not stop there; after welcoming Gamow, Townes got down from the stage, walked all the way to Gamow and helped him to come to the stage, that is to say, he showed a lot of courtesy and respect. And when Gamow finished, not only did Townes thank Gamow and all that as those who preside normally do, but helped Gamow to walk back to his seat. I was so happy to see what Townes did, and it made a deep impression on me. It is one thing to have scientific differences but quite another to let that poison one’s mind. You might recall my telling in an issue a long time ago about how young Chandra [Prof. Chandrasekhar] was put down by Eddington, but how they still remained friends to the end, with in fact Chandra delivering the Eddington Centenary Lecture in Cambridge. And here in this issue, I described how Bohr and Einstein differed on matters scientific but remained friends till the end. The incident I just narrated shows that things were changing; today, competition is so fierce that hostility is pretty common among many of the top guns. That is because, like in the movie, TV and newspaper industry, sadly, ratings have become the name of the game. People do not seem to appreciate that whatever discoveries they are blessed to make are the direct result of (a) the Grace of God, (b) the creative abilities with which God has blessed them, and (c) the opportunities for creative work that God has placed in their way. I am sure the meaning is clear; for every one person who shines, there are many more who, though blessed with talent, do not have the opportunity to give expression to them, due to the circumstances in which they are placed. Knowledge is meaningless if it does not go hand in hand with humility. Thus it is that Newton, hailed by Chandra as the greatest scientist of the second millennium [notwithstanding Einstein!] said that if he was able to see farther than others, it was because he was standing on the shoulders of those who went ahead of him! Yes, it is a mixed bag, with some humble and others not so humble. Having been a witness for over seventy years, I can say that lately, humility seems to have become a lost virtue! I shall say goodbye at this point, allowing you to reflect on it all. We shall meet again in the next issue, and till then, I hope all goes well with you. Dear reader, how do you like this series? Please share your impressions about this article by writing to [email protected] mentioning your name and country. Thank you for your time.